LIKE US? LOVE US? JOIN US! 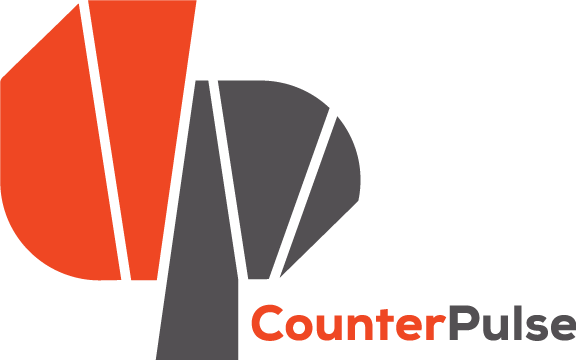 CounterPulse members are catalysts for risk-taking art and culture that transforms perceptions and builds community. In our climate of physical and digital divides, we are relentless in forging human connections as our resistance and resilience. Join or renew as a CounterPulse member this September. Support transformational arts experiences and get the benefits of being part of the CounterPulse family! Make a tax-deductible donation, in any amount, during our September Membership Drive for additional member benefits. Strapped for cash? Volunteer once to receive Catalyst benefits for the year. Volunteer with us three or more times for Instigator status. Participate in an Open Call and apply for an Artist Opportunity. Selected artists receive Instigator benefits for their project year. Serve as an advisor, host, committee member, or other leader-level volunteer with us for 10+ hours and receive Vanguard benefits for your year of service. Your support—in thoughts, deeds, and actions—allows our artists to reach new heights, strengthens our community services, and maintains our new and expanded space. Donate during our September Membership Drive and get a free CounterPulse tote! Donate during our September Membership Drive and get a free night in the Artist Apartment or 5 free studio hours.